We managed to get the last table on a busy Saturday night after a bit of to-ing and fro-ing with the Indian street food restaurant’s reservation staff – not the best of starts but we managed to get in anyway. Being restaurant week it was very much set menu, though the five or so choices were all good and none of the low food cost duffs that often pepper set menus. For starters we took on papri chat (above) and a classic test of any Indian eatery, onion bhaji. About five minutes after taking this order, we were offered poppadums. A bit late to ask – but we can’t ever refuse them. Flanking the poppadums (75p/person) was mango chutney (average) and two more unusual pickles – a liquorice/aniseed flavoured dark and sweet sauce (interesting, addictive), and a more sour curry-type sauce (OK). 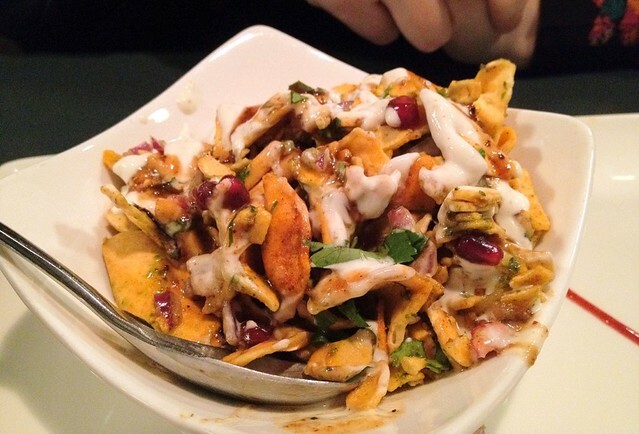 The papri chat (above) – might not look much, but this is one of the best Indian starter’s we’ve had in recent memory. As we learned at Maunika Gowardhan at Caffe Vivo last year, pomegranate with yoghurt and Indian flavours is a thing of beauty. Layers of crisp wafers mingle with lashings of yoghurt, chilli, and tangy sauces to give a mix of crunch and sauce that is oh so satisfying. Little pops of pomegranate keep it fresh and not too heavy. We would like to see this available in Dabbawal’s rival restaurants please! 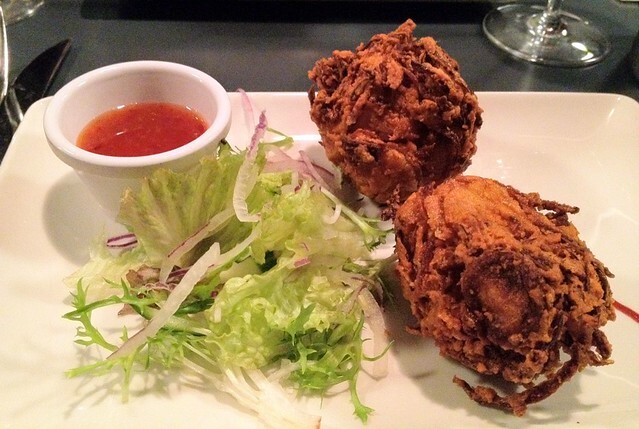 Onion bhajis are very crispy, a good sign, and full of flavour, but the side salad, as with many places, lacks any ambition and is merely an afterthought. Disappointingly, they came not with a cooling raita or anything resembling mint, but a bottled sweet chilli sauce. A sad blip on what was an otherwise good pair of starters. For mains, lamb overload! We can’t get enough of it in curry, slow cooked, super soft and full of insanely meaty flavours. So that made it easy to choose – lamb saag and lamb rogan josh, two of our classic favourites. The rogan josh was of a good standard with a nice consistency and loads of rich lamb bathing in a quite mildly spiced lemon sauce. The lamb was falling apart and the sauce kept us interested until every drop was gone. However, lamb saag was the star – so so much depth of flavour, rich spices, and though there wasn’t enough spinach stirred in for our tastes, this was still our standout dish of restaurant week. 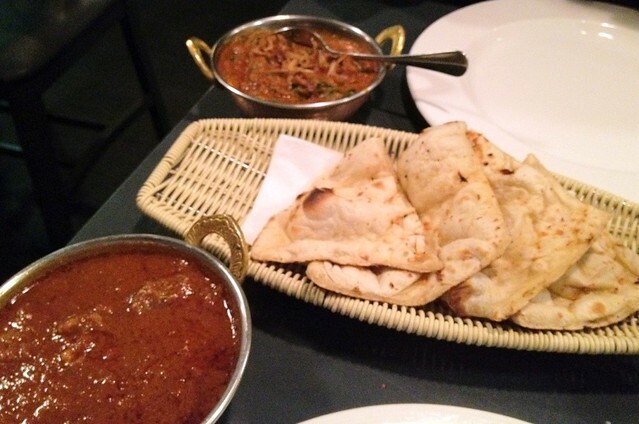 Accompanying naan bread was good but not supreme – we appreciated it not being a charged item this week though. 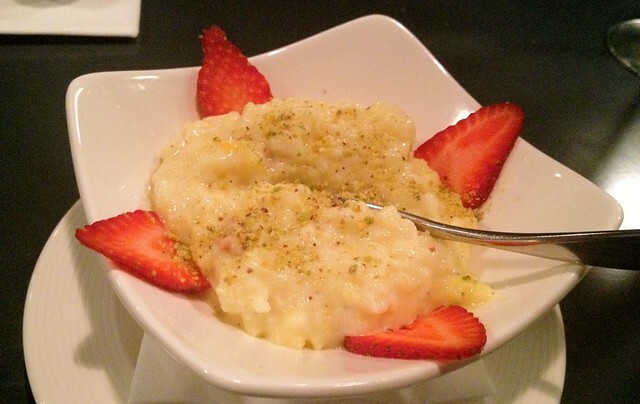 As with most Indian restaurants, the usual menu offers a good mix of both classics and signature specials. Also worthy of mention was the pilau of the day, which today was lemon – and scattered with mustard seeds – very good. Portions sizes were more than enough to satisfy but not to leave us busting out, as per usual where naan bread is involved. Service was hit and miss all night, though we can appreciate the place was packed to the rafters. We will be returning to Dabbawal, though on your average night,they do come in at the higher end, price-wise, placing them perilously close to Sachins, Vujon etc. We have had some amazing meals at those restaurants, so hopefully they can all keep each other competitive with fresh and innovative Indian cuisine. Nonetheless, Dabbawal was a great way to round off this Newcastle Restaurant Week, and we can’t wait for another week of cheap eating in the city this August/September! We would love to see more Indian restaurants taking part next time!